With a sharp increase in the usage of mobile devices, enterprises can no longer afford to operate without endpoint security solutions for safeguarding their networks. But the biggest dilemma when it comes to endpoint security solutions is how do enterprises find out whether these security tools are indeed serving their purpose? That their networks have become more secure than they were previously? 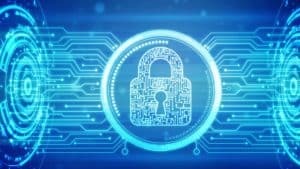 Finding out how these security tools are performing can indeed be difficult, chiefly because when it comes to endpoint security, enterprises are usually bombarded with so much network-related information that they can start feeling overwhelmed and therefore decide not to evaluate them at all. But this would be a serious mistake. Therefore in this page, we present to you 5 questions using which you can measure the effectiveness of your endpoint security solution; questions the answers to which can let you know whether your endpoint security tool is indeed effective or whether it’s time you opted for a change. Does It Do What You Expect Out Of It? This might seem like a silly piece of advice. But like mentioned earlier, it’s quite easy for enterprises to get lost amongst the sea of information that is usually generated by endpoint security tools and lose track of what you need from it in the first place. Therefore ask your security experts whether these security tools are keeping your network safe from hacking. If so, probe further and find out how they are doing so. By being proactive? Through extensive reporting? By employing stringent security policies? And so on. Because the more you find out about your security tools, the more you’ll realize how efficient – or inefficient – they are. Is Persistence A Key Feature? The hacking community has probably thought of a billion ways in which it can attack enterprise networks. So is your endpoint security tool strong enough to handle all of them? Moreover, when it comes to endpoint security, it’s more about surviving than emerging a winner. Therefore ask your security experts to analyze the persistence level of your endpoint protection tool. How do these tools tackle serious security threats? Do they try to get to the root of the security issue or do they just focus on prevention? Are they programmed to reset themselves after a major security attack? These questions will indicate how persistent your endpoint protection tool is. The more persistent they are, the better for you. Does It Affect User Productivity? Stringent security policies can make enterprise users feel constricted. We live in an age where employees like to work from any location and if your endpoint protection tool is not able to offer this, it can affect your enterprise productivity greatly. Therefore ask your security experts whether they rely on stringent security policies. Or on easy going ones? Speak to your employees and get their opinion as well. The information you get from both your security experts and employees will help you frame better security policies which can protect your enterprise without affecting your employee productivity. Is It Flexible? Enterprises expand over time. So do the applications, systems and various other systems they may be employing. Some of them might even become outdated. Now the question is whether the endpoint protection tool that you are employing is equipped or flexible enough to handle such changes. Talk with your security experts and find out if your endpoint protection tool can handle such growth and changes efficiently. If not, it’s time you opted for a change. Is It Security Compliant? Meeting industry security requirements is also a key component of endpoint protection. Because if you don’t and your enterprise’s security is breached in the future, you’ll be confronted with hefty lawsuits that will not only affect your reputation but also can prove heavy in your pockets. Therefore ensure your security experts become well-versed with the various regulatory bodies associated with your business. Moreover, you can also consult with your legal team as well. Because they’ll be knowing more about various cyber-laws. Conducting such research will help you confirm how far your endpoint protection tool complies with the existing cyber-laws. And obviously, the more they do, the better for you. If not, it’s time for a change.